Coming July 2017, along with toys from Hasbro, books, apparel, and much more! 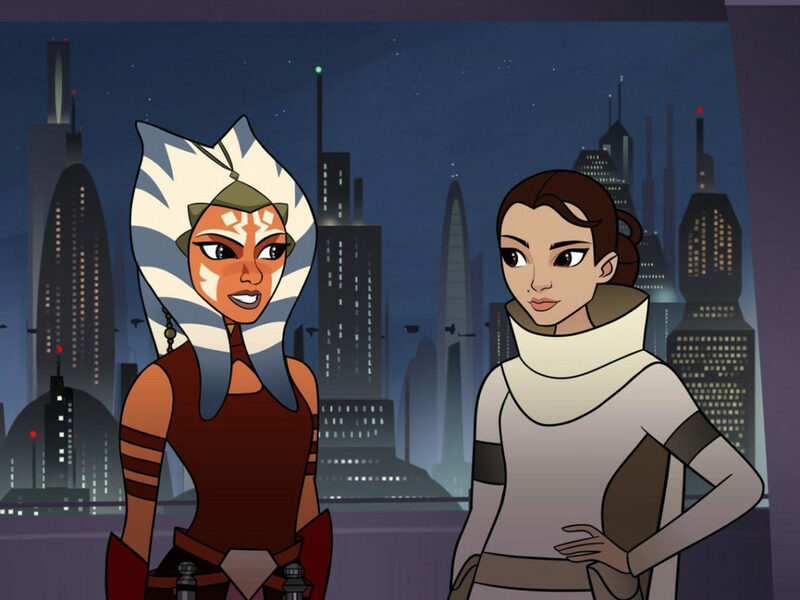 There’s never been an all-star lineup like this in any galaxy. 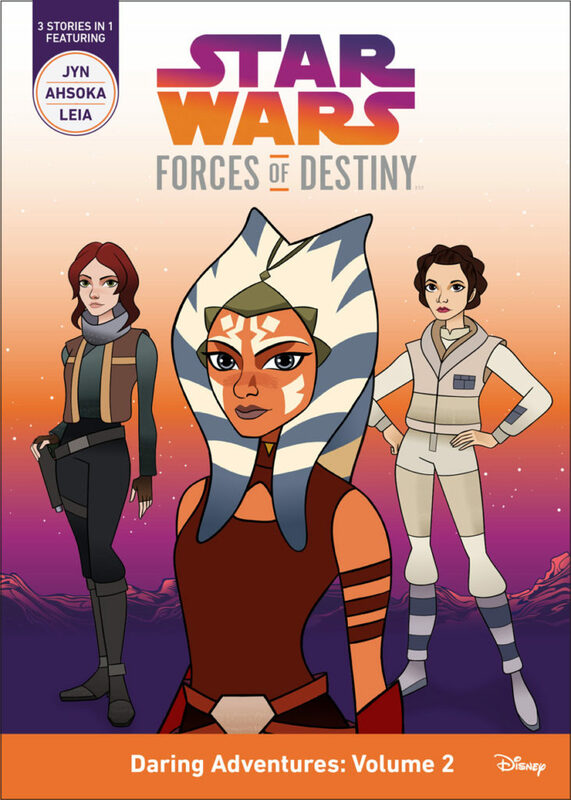 Rey, Ahsoka Tano, Jyn Erso, Princess Leia, Sabine Wren, and other icons of a galaxy far, far away will take center stage in Star Wars Forces of Destiny — a new animated micro-series and initiative celebrating some of Star Wars‘ most beloved and inspirational characters. 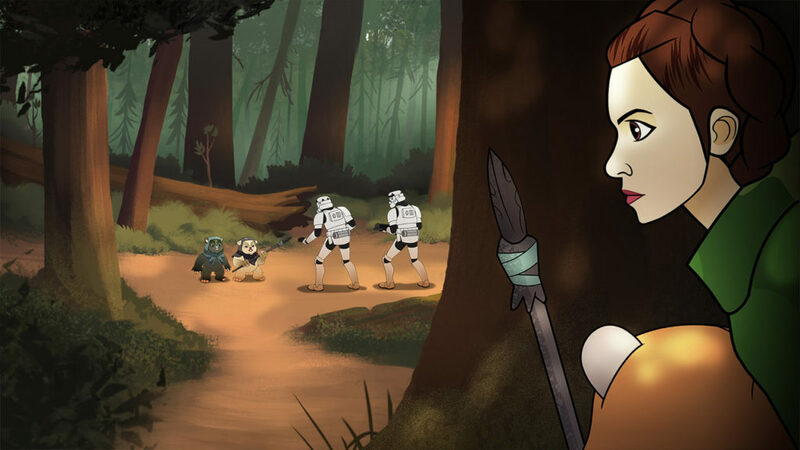 Announced by Disney and Lucasfilm today, Star Wars Forces of Destiny launches in July with a series of animated shorts (2-3 minutes each) on Disney YouTube, exploring all-new adventures of the fan-favorites. 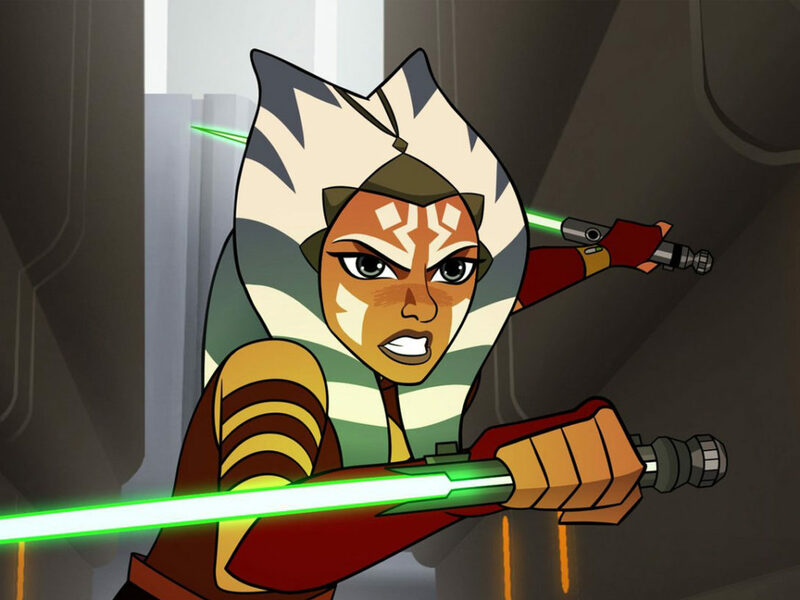 A two-part TV special featuring eight additional shorts will follow on Disney Channel in fall 2017. 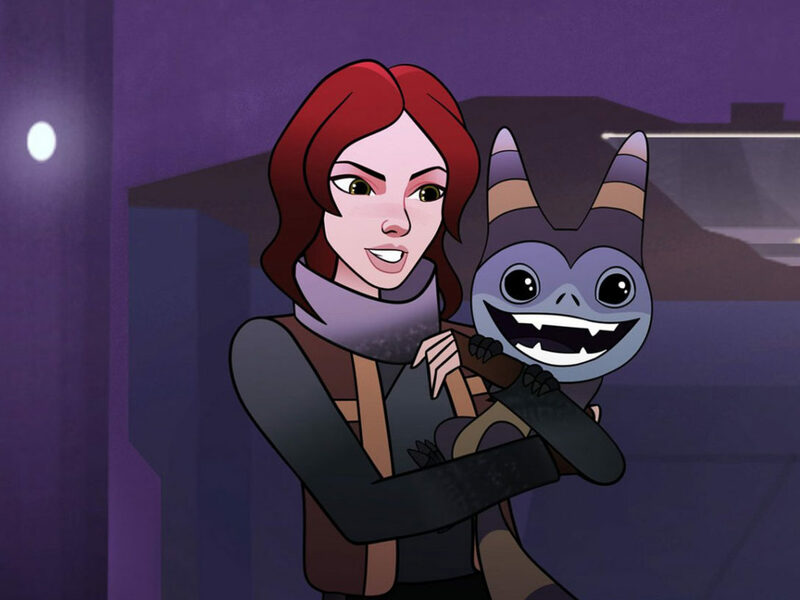 Significantly, Daisy Ridley (Rey), Felicity Jones (Jyn Erso), Tiya Sircar (Sabine Wren), Ashley Eckstein (Ahsoka Tano), and Lupita Nyong’o (Maz Kanata, narrating the series) will all reprise their roles for the show. Developed by Lucasfilm Animation, Star Wars Forces of Destiny will remain true to the Star Wars canon, showing how choices both big and small ultimately shape the destinies of beloved characters. Check out a first look in the gallery below! 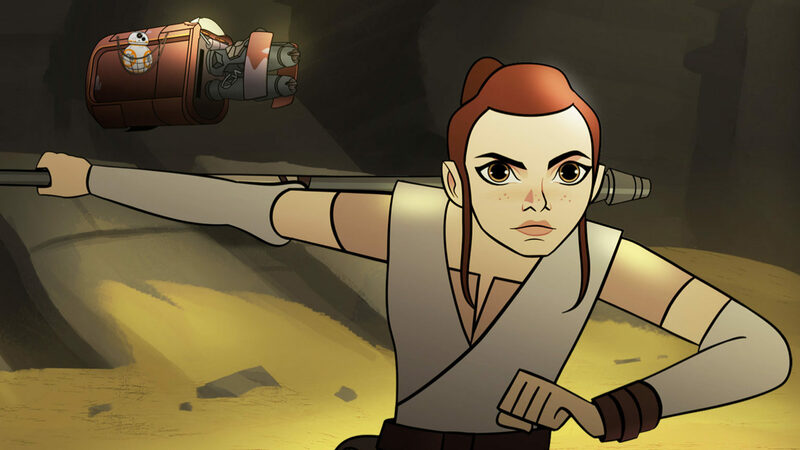 Hasbro is set to launch a line of Star Wars Forces of Destiny toys, including new “Adventure Figures” — a fusion of traditional dolls and action figures. 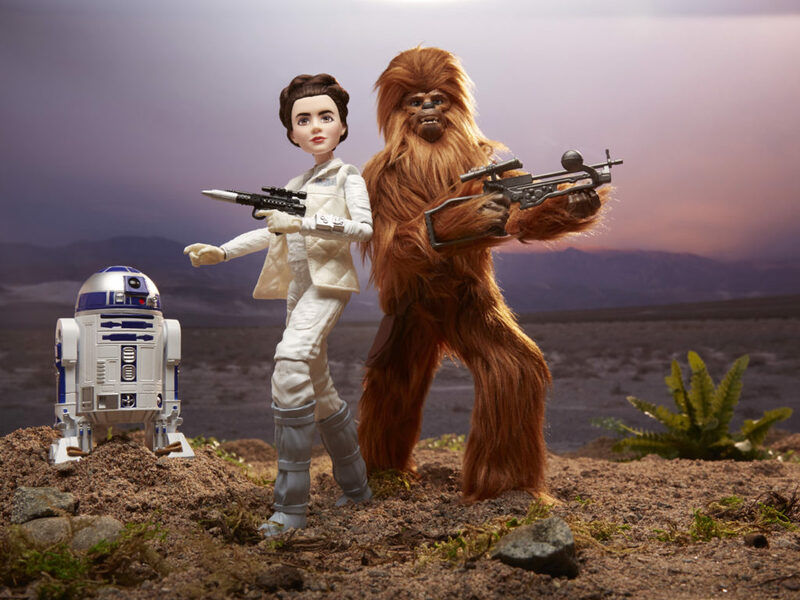 The toys are 11-inch in scale, and feature multiple points of articulation, as well as dynamic action, including Rey swinging her lightsaber. Villains such as Kylo Ren are also on the way. 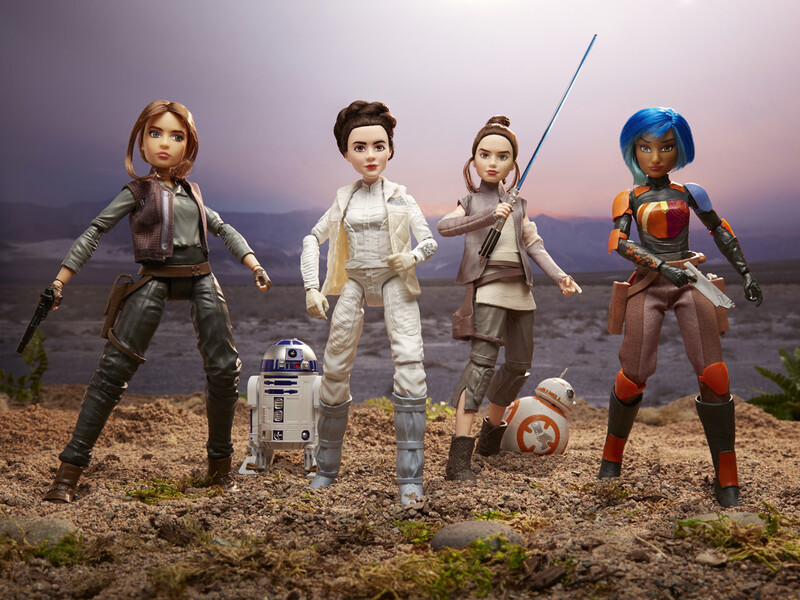 Get a sneak peek at Jyn Erso, R2-D2 Leia, Rey, BB-8, Sabine Wren, and Chewbacca below. More products based on the series, including books, apparel, bedding, and more, are also coming. 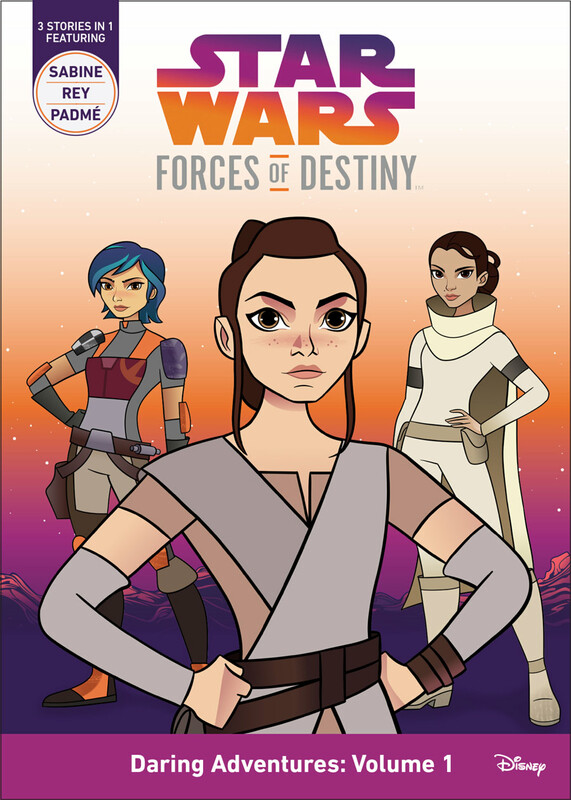 The covers for books Star Wars Forces of Destiny – Daring Adventures Vol. 1 and Vol. 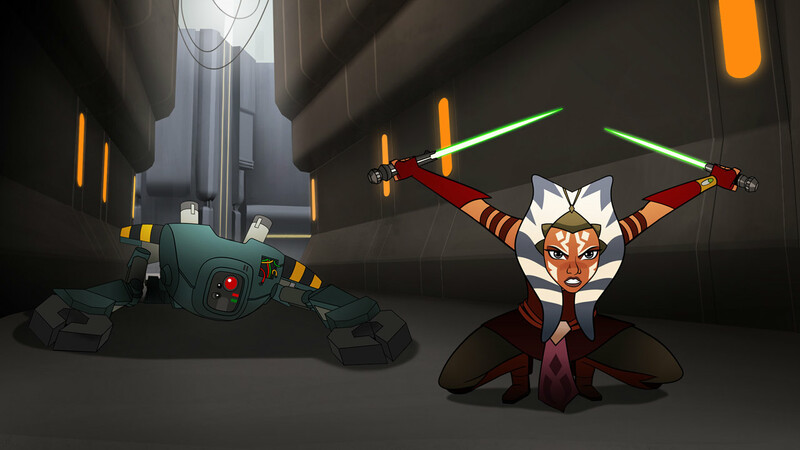 2 are revealed in the gallery below, both featuring three stories starring Star Wars heroes from across the saga. 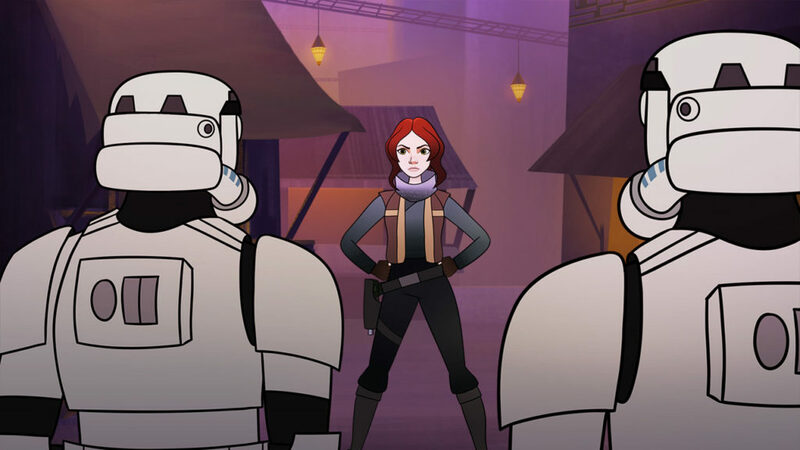 Star Wars Celebration Orlando will host a special preview of Star Wars Forces of Destiny during the “Heroines of Star Wars” panel on Friday, April 14. 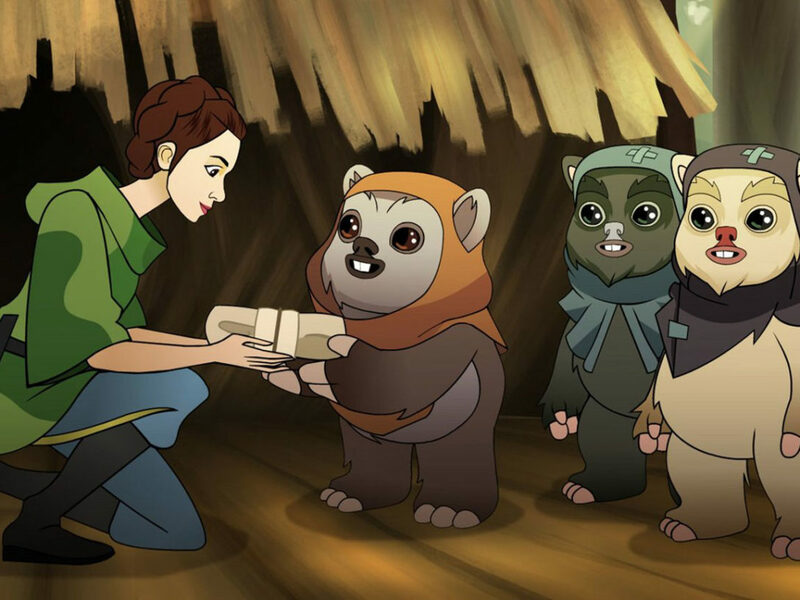 Host Amy Ratcliffe will speak with Lucasfilm’s vice president of animation Carrie Beck and Star Wars Rebels executive producer Dave Filoni, as well as voice actors Ashley Eckstein, Tiya Sircar, and other surprise guests about the series. Iconic heroes. Inspiring stories. 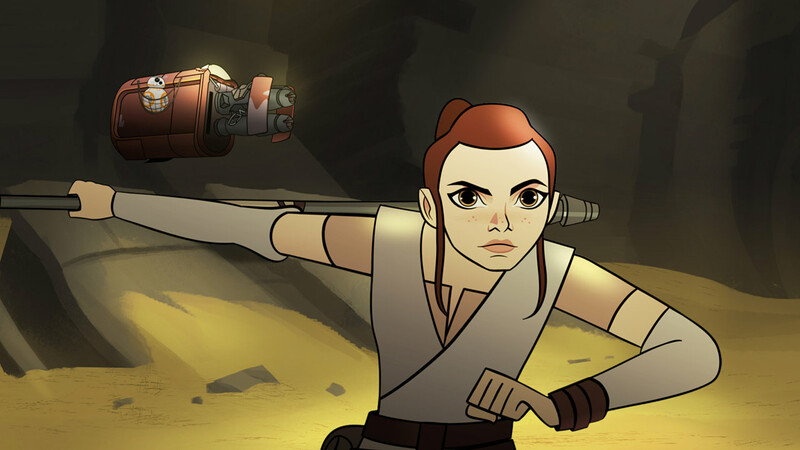 Get ready for Star Wars Forces of Destiny.